The First Memory (最初的回忆) or in Pinyin, Zui Chu De Hui Yi, is a song by Da Feng Chui (大风吹), a Singaporean band. 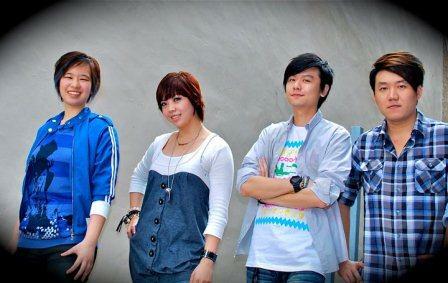 The song is a new single by the Da Feng Chui band with the MV going to be released in 2012. Although The First Memory has not yet officially released, but the song has premiered on air wave via Singapore’s radio station Yes933, and is one of the OST (original soundtrack) of the Singapore drama The Oath. The song is used as the insert song of The Oath, and it’s featured as the song that accompanying the scrolling ending credits on episode 15 broadcast on November 14, 2011. The First Memory (最初的回忆) is composed by Zhen Liang (龔振良), the lead singer of Da Feng Chui and is written by Hong Mei Yan (洪美燕). Watch and listen the The First Memory (最初的回忆) at YouTube (recorded from episode 15 of The Oath). Another video clip is available which is recorded from the final episode 20 of The Oath, broadcast on November 21st, 2011. As the song is recorded from the drama, it’s not complete but mixed with dialog lines.